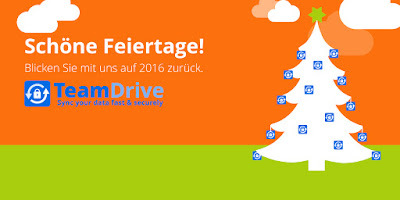 the TeamDrive team wishes you a happy holiday season! Thank you for being with us this year and see you in 2017! It has been a challenging year with ransome viruses and cyber attacks for many users and organizations. Thanks to TeamDrive all our customers where able to restore uncorrupted files whithout paying to criminals. Our engineering team is absolute great and developed many new extensions for TeamDrive which you will see in the coming quarter. 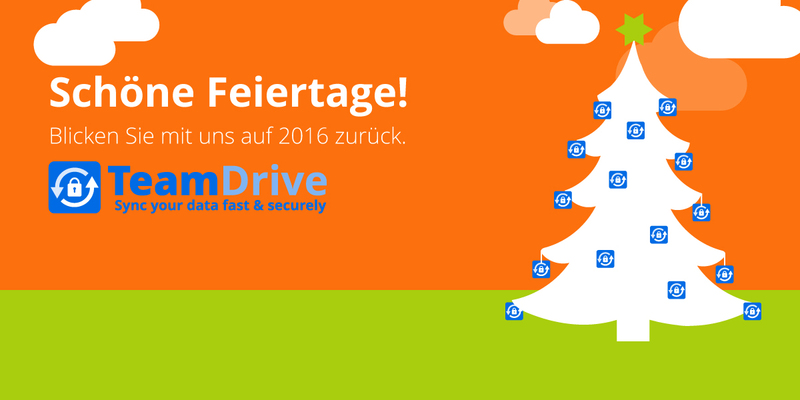 Achievements in 2016 where TeamDrive 4 with a great UI improvement, an easy audit trail with notifications and faster and even more secure protocols to keep you content private and secure. Our Enterprise customers gained a new TeamDrive WebClient, Inbox URL´s and a ton of added management and configuration settings to better organize and mange their teams. Stay tuned for the upcoming releases in early 2017!